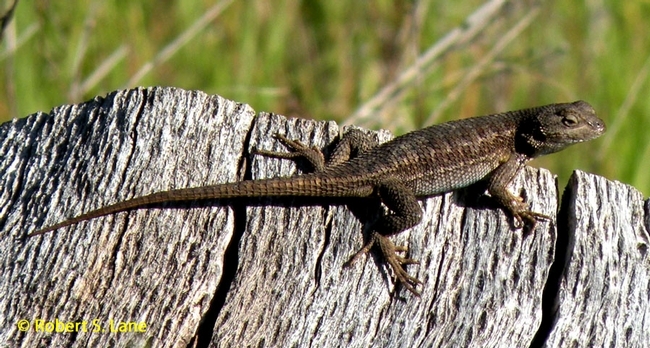 The western fence lizard is known to be the primary host of immature western black-legged ticks in many areas of California where the tick and lizard co-occur. Come to the UC Hopland Research & Extension Center this next Monday evening and find out more about lizards, ticks, and lyme disease from Dr. Robert S. Lane, professor emeritus of Medical Entolomogy at UC Berkeley. Dr. Lane's seminar presentation is titled "Lyme Disease in California: a tale of woodlands, nymphs, and their significant others". Dr. Lane has conducted over thirty years of research here at HREC and throughout the North Coast on the ecology, epidemiology, and prevention of tick-borne diseases ... particularly the spirochete (bacterium) that causes Lyme disease. Lyme disease is the most common vector-borne infection in the United States and in other temperate regions in the Northern Hemisphere. So come and hear from Dr. Lane this next Monday, November 25th, at 7:00PM at the Rod Shippey Hall, located at HREC, and find out why it is good to have western fence lizards around in relation to the prevalence of the Lyme disease spirochete. The seminar is FREE and open to the public ... light refreshments will be provided. When is this or the next one. How do I reach Dr. Lane? I would like to praticipate and have impotamt info. Hi Connie - I will connect with Dr. Lane and discuss the possibilities of hosting a follow up event in 2018. Keep an eye on our blog to see when this might take place!